I/We hereby pledge to give the following amount to help build the new Ocean Parkway Chabad Community Center. I/We have delineated next to the dedication we have selected for our pledge. I would like to donate the full amount now. I would like to submit my dedication in 12 payments. Host a Parlor Party in my home for my friends and acquaintances. 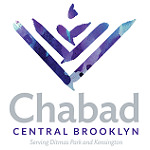 Speak with Rabbi and Mrs. Levin in more detail about the OP Chabad Community Center.